If you are looking for a romantic place offering delicious food, then this eatery is the ultimate stop. Offering a cozy ambience and beautiful decor, one can always visit this place to enjoy candle light dinner with someone special. Serving North Indian, Italian, Tex-Mex and Mexican delicacies, they have a full bar available to relish some exquisite drinks with one's food. It strictly serves vegetarian food and is an absolute treat to one's taste buds. Recommended - Cheese Fondue, Veg Kebab Sizzler, Margarita Cheese Pizza, Chocolate Brownie. Despite Relish being a pure veg restaurant they still offer some great appetizers and full meals. A personal recommendation for food would be the nachos with beans and pasta in white sauce. A drink recommendation would be the six shooter which is 6 different flavours of soda. The establishment is small but comfortable. Generally service is fairly quick as well. However the only downside is that several menu items tend to be expensive. Brightly lit and reasonably priced, these restaurants are decked up with happy yellow-and-red colours and great places to quickly grab a filling bite. 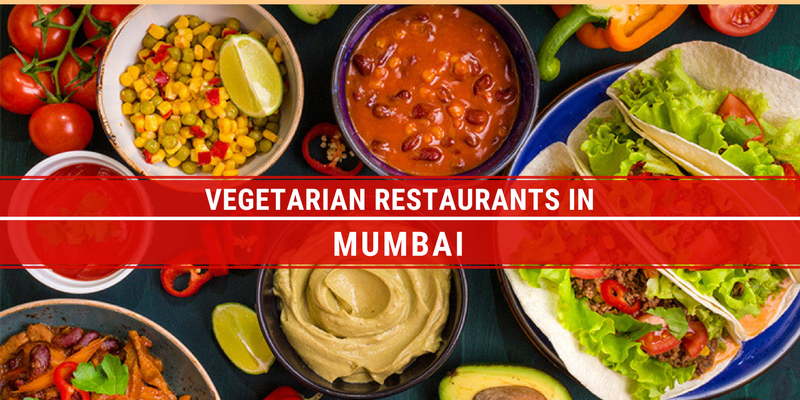 South Mumbai vegetarians may need no introduction to the Samrat team’s twins — all-veg Relish at Churchgate and Nariman Point. Serving Italian, Mexican, Thai and Lebanese cuisines, they have a really wide range of vegetarian snacky meals. Pastas and salads, starters like Onion Rings, Capsicum Rings, Dried Baby Corn, American Cheeseballs, variety of pizzas, and a Chowpatty Grill Sandwich. Potato Skins, Tex-Mex Cheese Chips and Hummus with Pita Bread, like everything else here, are tasty but tuned to the Gujarati and Jain palates. Enjoy dipping into the Cheese and Mushroom Fondue Pot (the cheese is not the traditional mix of Emmental and Gruyere). Try the popular Cheese Burger or Aglio Olio or their famous sizzlers. The Dark Chocolate Fondue Pot makes for a good dessert, or you can go with the Apple Pie or Chocolate Waffles. Caveats? They don’t serve alcohol (though wine is served), parking is a problem, and during peak hours, decibel levels can rise. The restaurant has good ambience with excellent quality of italian and maxican food served. The speed of service is good enough and the prices are also reasonable. Parking is a big problem. The restaurant has a wide spread of cuisines on offer. Tried the Lebanese Food and Sizzler. Delicious!!! Staff is very polite and ensures that guests requirements are taken care of. If going on weekends one should be ready for waiting time. A perfect place for dinner with family n friends.